Stamford. Noroton Heights. Fairfield. Stratford. And the list goes on. These are among the Metro-North train stations that are not ADA compliant. Is your station one of them? In other news, family and friends of the Westchester County woman found dead last week in Greenwich are seeking answers and an arrest. In Westport, where the state’s first single-use plastic bag ban was enacted 10 years ago, lawmakers and advocates gathered this weekend to push for a statewide ban. 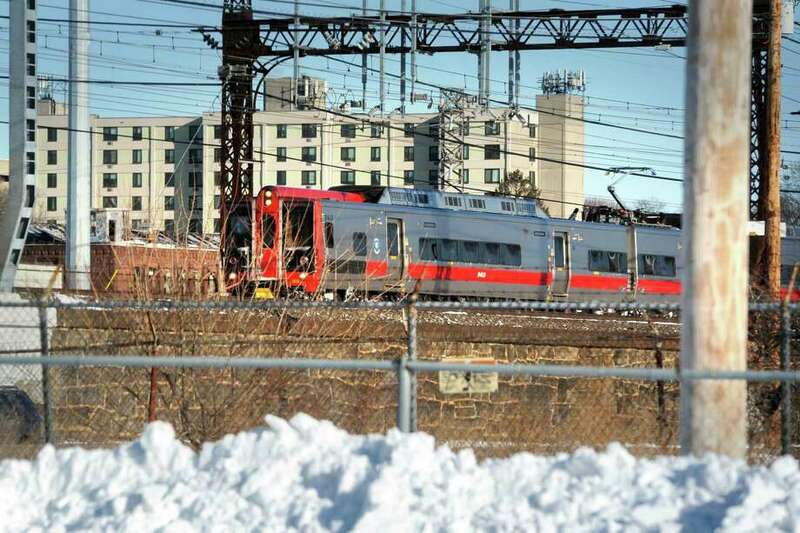 A Metro-North train passes through Bridgeport, Conn. Jan. 5, 2018, near the site of the proposed train station for the city’s East Side. Following the recent death of a 22-year-old Stamford resident who fell down a flight of stairs at a New York City subway station, accessibility at stations along Metro-North’s New Haven Line has been on the minds of many commuters. According to the state Department of Transportation, many New Haven Line stations fall short of compliance with the American with Disabilities Act. 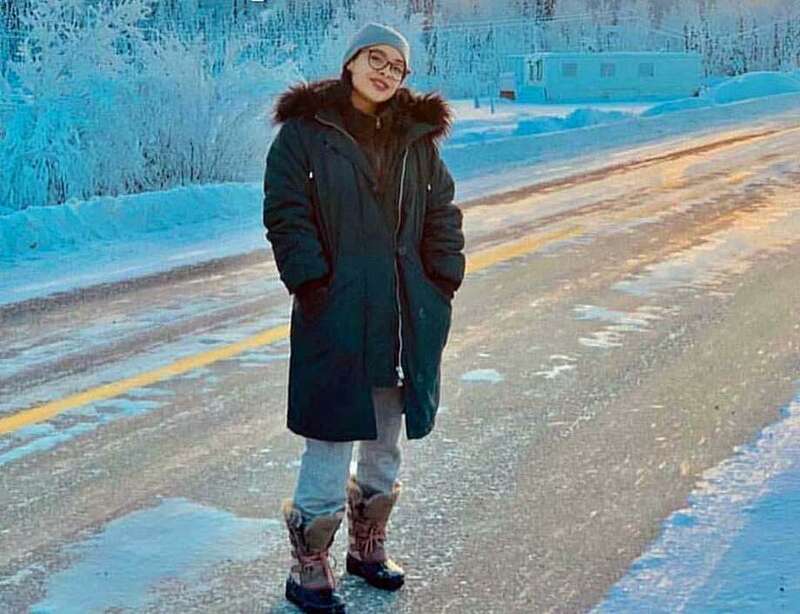 Valerie Reyes, 24, of New Rochelle, N.Y. was reported missing on Jan. 30, 2019. 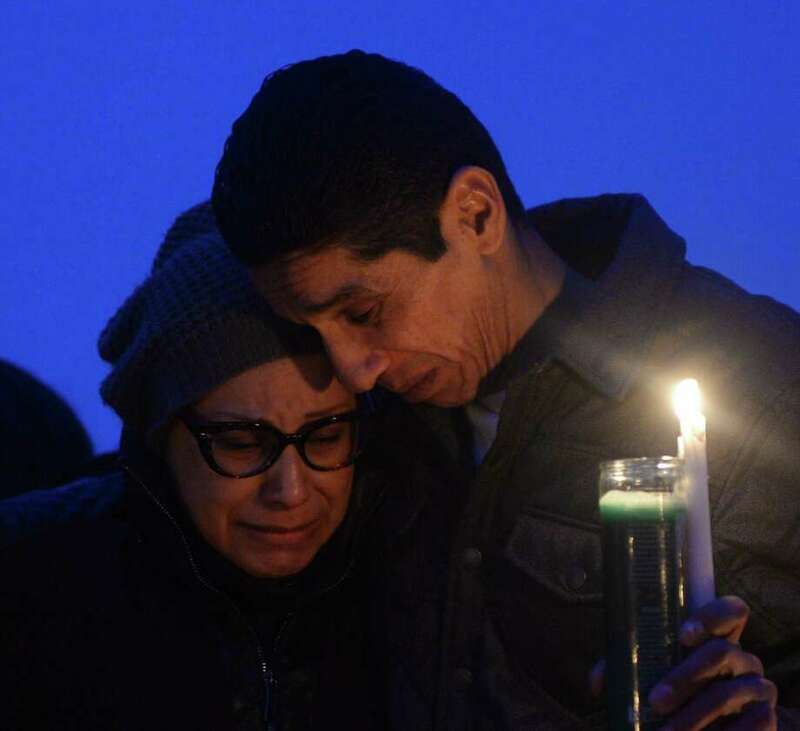 Friends and family grieve for homicide victim Valerie Reyes during a candleight vigil in her honor at Glen Island Park in New Rochelle, N.Y. Thursday, Feb. 7, 2019. Reyes, 24, of New Rochelle, N.Y., was found bound inside of a suitcase just off of Glenville Road in a quiet, wooded area of Greenwich, Conn. on Tuesday morning. Unlike New York, which has a clearinghouse for missing persons that helped authorities quickly identify Reyes, Connecticut relies on a patchwork of alerts from local and state police, and the database from the National Missing and Unidentified Persons System, called NamUs. While most of those who go missing in Connecticut re-emerge on their own unharmed, others can easily slip through the cracks. 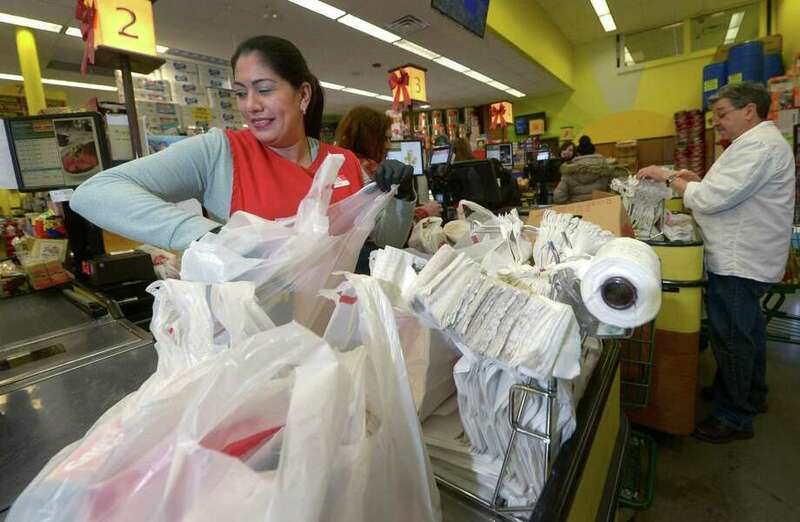 Cashier Beatriz Jimenez bags groceries at CTown last week in Norwalk. In the town that enacted Connecticut’s first plastic-bag ban a decade ago, a group of state legislators, local officials and environmental activists held a beach news conference Saturday afternoon focused on banning single-use plastic bags statewide. 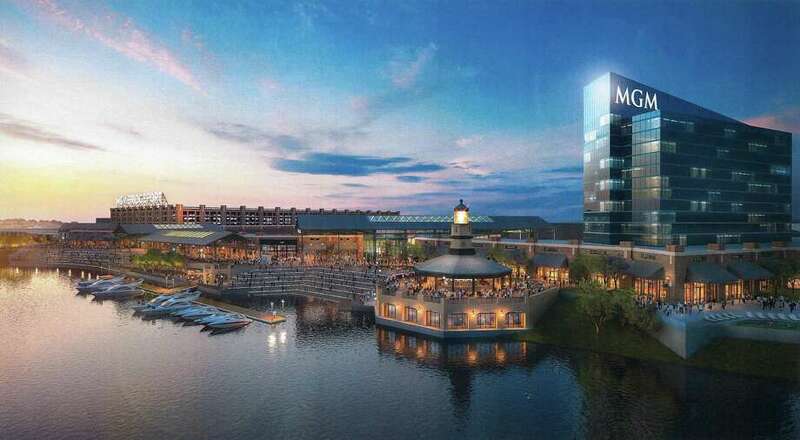 Conceptual rendering of MGM Bridgeport Resort Casino & Entertainment District. A daylong symposium — largely paid for and organized by MGM Resorts International — at Housatonic Community College on Saturday aimed to provide more insight into the entertainment giant’s plans for a casino on Bridgeport’s harbor. However, there is still a long way to go to make that a reality. 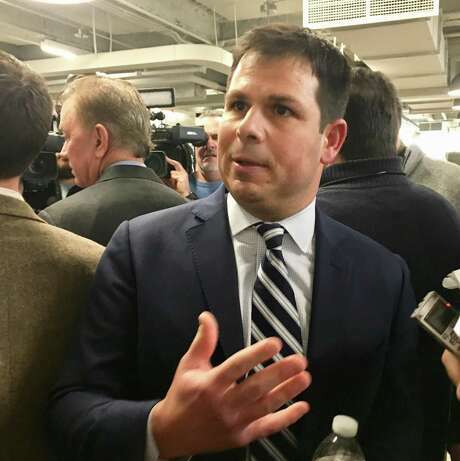 David Lehman, 41, of Greenwich, was named commissioner of the state Department of Economic and Community Development and "secretary of commerce" by Gov. Ned Lamont. The Goldman Sachs investment banking executive, who's leaving that job, spoke with reporters in Hartford at 20 Church St., after the announcement on Friday, Feb. 1, 2019. Hearst Connecticut Media columnist Colin McEnroe argues Gov. Ned Lamont should not trust someone like David Lehman as a senior economic adviser for the state. Lamont has nominated Lehman, a Goldman Sachs executive when the economy crashed, to be the commissioner of economic development. 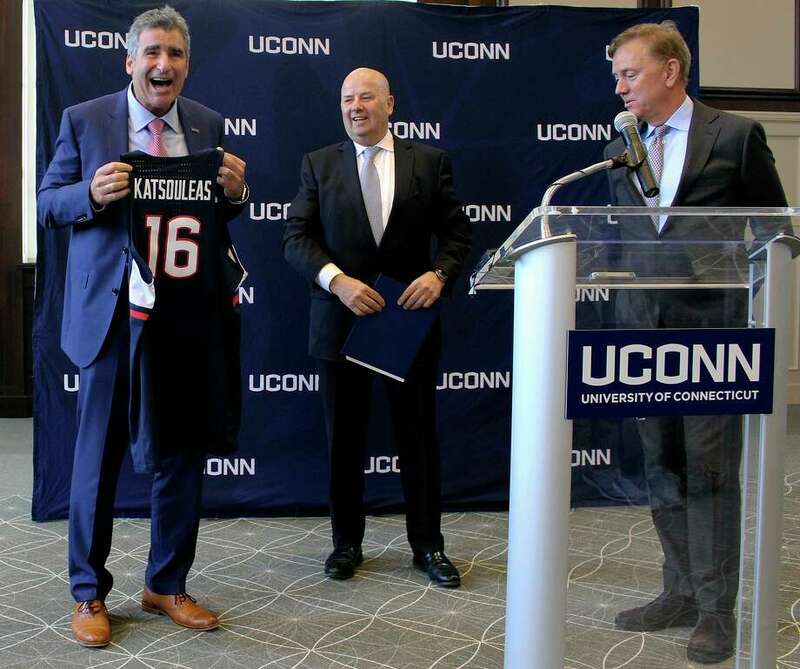 Thomas C. Katsouleas, left, is presented with a UConn basketball jersey by University of Connecticut Board of Trustees chairman Thomas Kruger, center, and Gov. Ned Lamont after being appointed as the college’s president in February. Lamont plans to appoint a new Board of Trustees and said Kruger will step down this month. A well-known scholar and inventor who has held posts at three top public research institutions, Tom Katsouleas was described as a “great catch” as the University of Connecticut’s new president, according to Board of Trustees Chairman Thomas Kruger. Lawyer John Gulash speaks in Bridgeport, Conn. on Wednesday, January 25, 2017. John Gulash, a respected defense attorney whose clients have included accused murders, drug dealers and corruption, has been hired to represent Joe Tiago. The Bridgeport deputy public facilities director was fired earlier this month amid the FBI’s scrap metal probe into city government. Ray Murphy had his home and property damaged from the storm last May. The home has been repaired but you can still see the damage from the storm to the trees on the property. 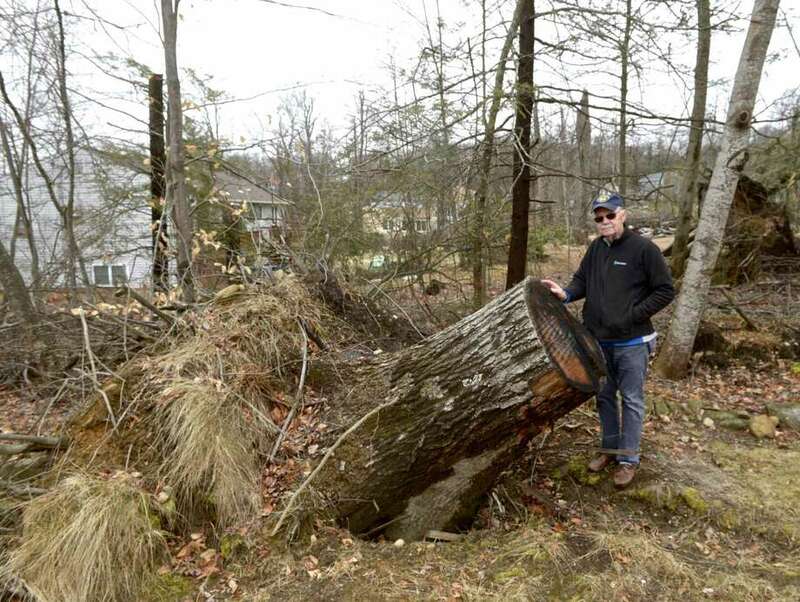 Thursday, February 7, 2019, in Brookfield, Conn.
More than six years after Superstorm Sandy, Danbury is still receiving federal reimbursement for money it spent in the storm’s aftermath. 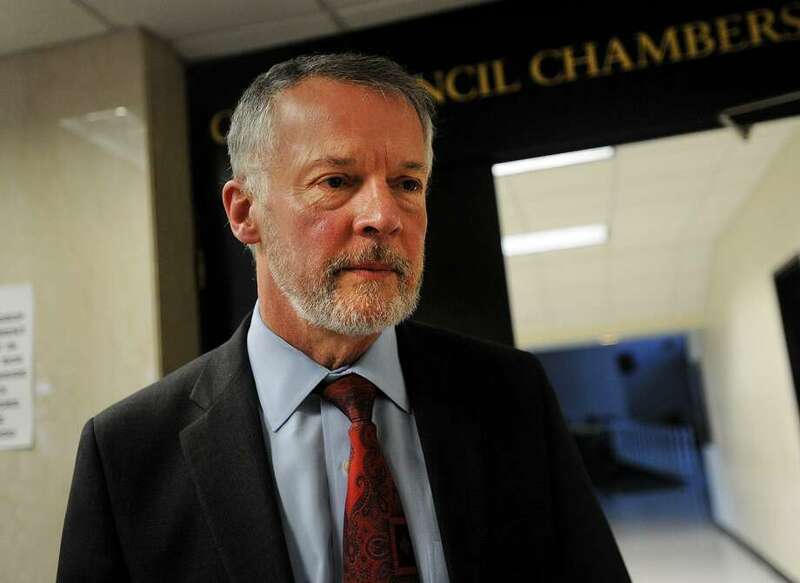 Danbury-area towns officials who applied for grants after last May’s macroburst said they don’t expect to wait quite that long, but nine months later, they have not yet seen any funds.